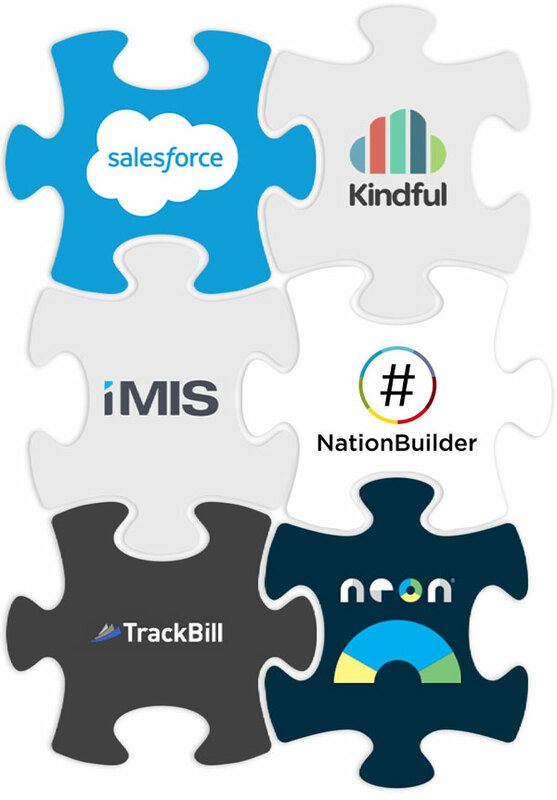 Comprehensive Digitial Advocacy Solutions for Companies, Associations, and Nonprofits. Auto-populates advocate data, increases conversion rates to over 23%, and reduces time-required-to-take-action by 3-8 seconds. 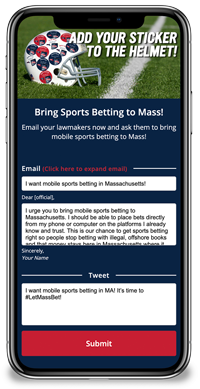 Unique rotating subject lines and unique rotating message bodies with proportional display and delivery; greatly increases the likelihood your messages will not be flagged as a form email by legislative correspondents. 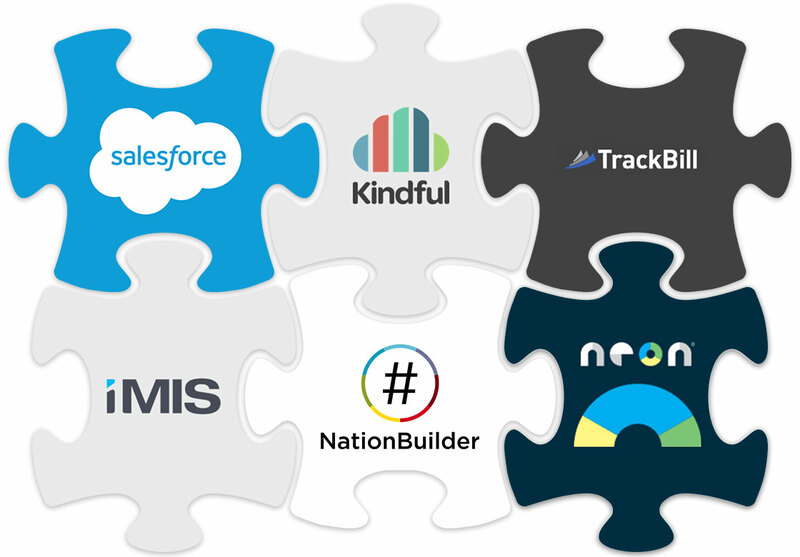 Drive massive multi-channel engagement with "One Click." No two, three, or four step processes like other tools. Instant submission of emails, faxes, and socials posts to elected officials in one easy step. 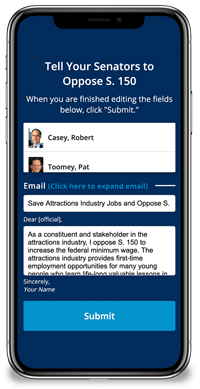 Advocates can activate the built in cameras in their iPhone, Android, Desktop, Laptop, or Tablet using our technology to record testimonials or legislative advocacy messages. 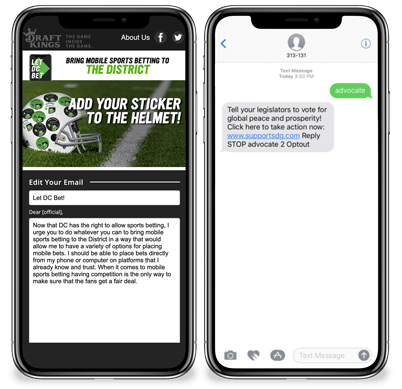 Send your advocates mass SMS or MMS text message blasts and/or create your own mobile keywords that your advocates can text into using a dedicated shortcode. 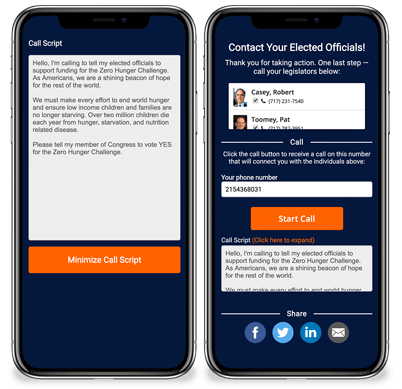 Record up to 30 second voice greetings and connect your advocates to elected officials with "One Click." Our system tracks call duration, elected officials contacted, and advocate participation.